We are offer professional security guard dog(services) in London. 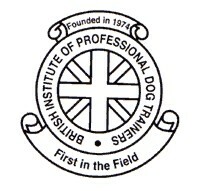 This is largely due to one factors, we continously monitor the security services that your are looking for to ensure the security detail meets your requirement..
We have been succesfully supplying security guard dog services in London for over 7 years and pride ourselves o the professionalism of our dog unit, our staff are professional and highly motivated, we have a happy customer base, who year after year use our security services. We understand that care must be taken when deploying security guard dog units, so we ensure that all our k9 dog handlers have formal training in addition to our in house training, our security, our dog handlers are trained to NASDU and BPIDT standards. On arrival the professionalism of our dog handlers will stand out. United Arms Security dog handlers have proper site instructions, they know the laws concerning the use of security guard dogs, they carry out thier duties with vigilant and care ensuring you have the highest deterent in private security is deployed effectively.